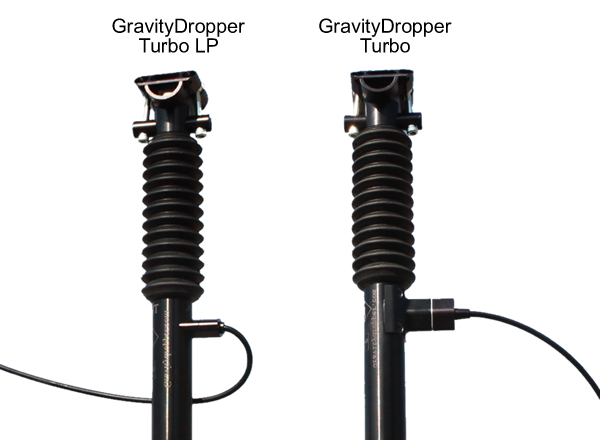 Introduced for 2013, the newly redesigned GravityDropper Turbo LP is replacing the GravityDropper Turbo. The new model is lighter, stronger, and features a lower profile Turbo Unit that allows for cleaner, low profile cable routing. View the two models in on our comparison page here.